How did you learn about Sweet Apple Pie Fries? Where are you interested in opening a Sweet Apple Pie Fries Franchise? Please list the reasons you are interested in a Sweet Apple Pie Fries. Interested in Single or Multiple Units? Would you manage the Franchise personally? Sufficient Capital to Open Sweet Apple Pie Fries? Planning to own a Franchise Partners? Do you have previous food and/or beverages experience? Do you have previous management experience? Neither this website, nor your submission of an expression of interest, constitute an offer to sell or to purchase a franchise, nor shall it create any contractual or other obligation to one another. Sweet Apple Pie Fries!® will not offer or sell a franchise unless registered (or exempt) in the state where the prospective buyer resides or where the franchise will be located. This offer is not being directed to any resident of any state, province, country or jurisdiction where Sweet Apple Pie Fries!® is not currently registered to offer or sell a franchise, unless otherwise qualified or exempt. The information on this website is not an offer to sell, or a solicitation of an offer to buy a Sweet Apple Pie Fries!® franchise . 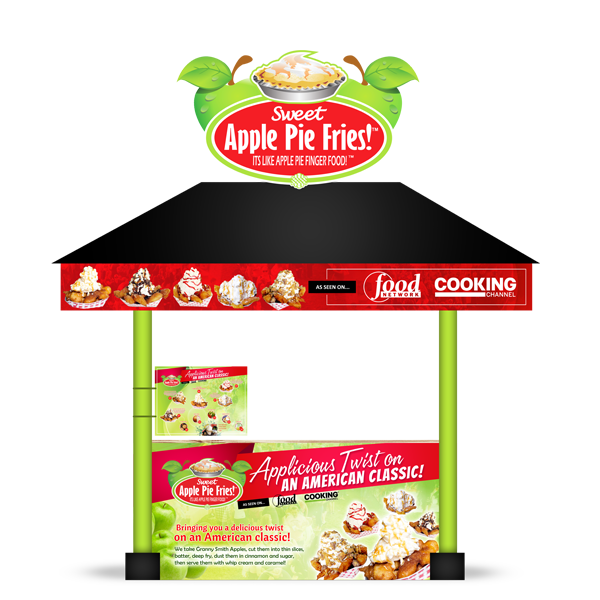 An offer to sell a Sweet Apple Pie Fries!®franchise is made by franchise disclosure document only.